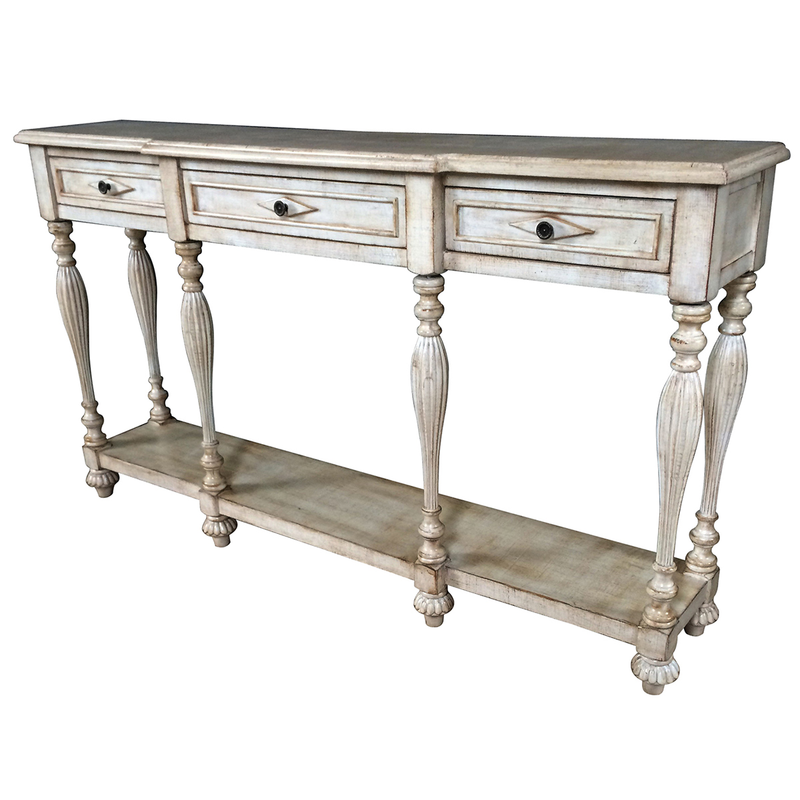 With a unique combination of spindle legs, ball feet and diamond drawer fronts, the Caroline 3 Drawer Console complements your seaside home. Ships from the manufacturer. Allow 1 to 2 weeks. Cannot express ship this beach style furniture. For more items, we ask you to spend some time to look at our whole variety of beach style cabinets at Bella Coastal Decor now.